Cindy Goldrich, Ed.M., ACAC, is a Certified ADHD Coach and parenting specialist.Â She provides education, tools, strategies and support to help parents gain confidence and skills in parenting challenging children. As the founder of PTS Coaching, she created and facilitates the highly acclaimed workshop series: Calm and Connected : Parenting Children with ADHD and accompanying Support Groups. In addition, she provides Individual Parent Coaching on Long Island and at the Hallowell Center in New York City, IEP/ 504 Plan and school relations support, Teacher Training, and Staff Development. 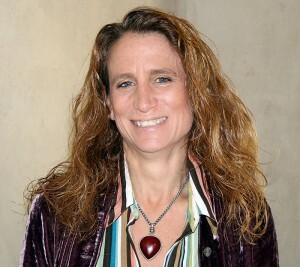 Cindy is an active writer, speaker, and contributor to the field of ADHD. Cindy received her Master’s in Counseling Psychology from Columbia University, Teachers College and her ADHD Coach Certification from the Institute for the Advancement of AD/HD Coaching. In addition, she has trained with Dr. Edward Hallowell and is a Certified Mentor for Think:Kids, formally The Collaborative Problem Solving Institute, dedicated to understanding and helping challenging children and adolescents. Click here to visit Cindy’s Website.